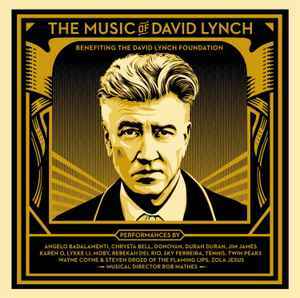 "Songs from classic David Lynch films & Twin Peaks live in concert with: Angelo Badalamenti, Karen O, Jim James (My Morning Jacket) and more." the payment is already done on the 30th of july !!!!!!!!!!!!!!!!!!! This album is not a compilation in the traditional sense. It is a live concert held in L.A. in April 2015 (details can be found via welcometotwinpeaks dot com). Oddly, the album makes no mention of this anywhere a potential buyer can see. The quality of mastering, by modern standards and surely by typical modern vinyl standards, is excellent. Everything is balanced but at the same time full and pushed forward. To me, the music sounds like great pressings from the ‘80s that were cut knowing how to make FUN sound, but this album adds a level of bass that couldn’t usually be achieved in the otherwise lively ‘80s pressings, and surely not for any LIVE concert show from back then. So the good news is that this album is probably near the head of the class for 2016 vinyl master jobs. Each lp is protected by a thick solid plastic sleeve (no paper) in each side of the gatefold. Now the bad news. Modern vinyl pressing and all of its common pitfalls from poor process, machining, packing, and other aspects of quality control, definitely occur in this album. The gatefold is cramped, but this is not the reason for the lp’s being warped - it is surely the pressing process. Some of the lp’s show both scalloped/rippled edges and serious dishwarp (overly convex/concave from one side to another). If you use an inexpensive cartridge/stylus (they don’t dig as deep into the record grooves), there is the possibility you will experience skips. There are small no-fill issues that cause clicks, not overwhelming, and not a significant problem on the busy tracks, but during “Llorando” they can definitely be the factor that reminds you you’re listening to a record and not the singer. Some of the disc labels are off-center. Some discs show fingerprints or streaks from the packing process. These issues are in no way unique to this record. While there are very good quality modern vinyl pressings to be found, they seem to be increasingly rare, and the number of pressings like this one that expect 180g to equal perfection and all other QC factors of old to be irrelevant, well, it can really compromise a listening experience. I’m lucky enough to have a system that can overcome the pressing quality issues (by way of a deep-digging stylus and a massive record stabilizer). I say lucky because the mastering job and sound potential on this album is something I’ve found in VERY few modern vinyl pressings and exceeds that of any other live concert on vinyl that I can think of. This was heard with good but not “high end" equipment: Ortofon 2M Black cartridge, ProJect Carbon 3 turntable with Oyaide record stabilizer and GND ZERO (not a typo) earthing device, "Les system" customized Yaquin MS-22B phono preamp, Sound Master 76MKII amp (KT66’s), copper audio cables, silver grounding cables, stock power cords, and Gallo reference speakers.